Joshua McCray, age 23, from Charlotte, NC, lost 31 lbs. in just 60 days with INSANITY MAX:30! 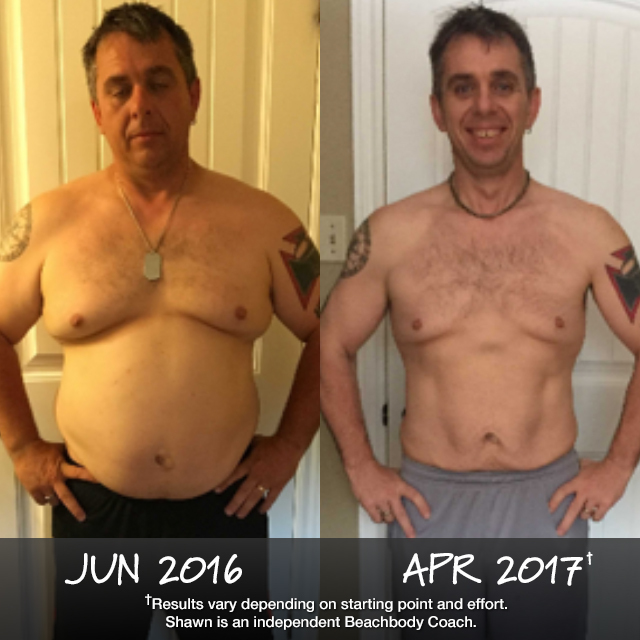 He was motivated to be the healthiest possible version of himself in order to one day provide a better lifestyle for his family and friends. 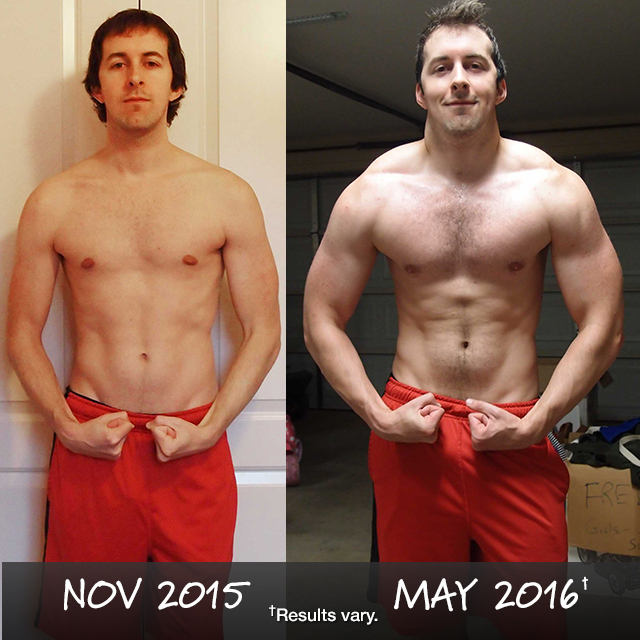 Monte Ford, age 33, from Alma, AR, went from Scrawny to Brawny with Body Beast! He gained a staggering 33 pounds of lean muscle and finally feels like a beast. Shawn Mills, age 44, from Sherbrooke, NS, is a paramedic who combats PTSD with the feel-good endorphins that exercise provides. Overall, he has lost 91 lbs. and rediscovered the joys of life. 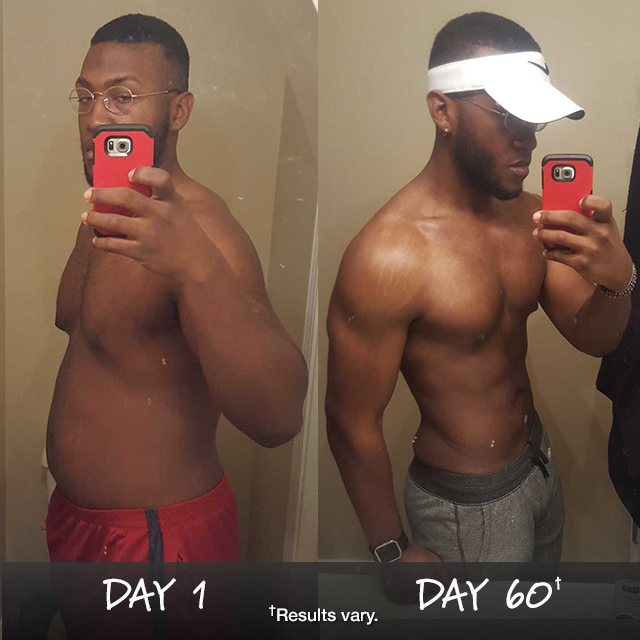 After an eye-opening physical exam at age 52, Houston Hamilton, from Missouri City, TX, was inspired to make a lifestyle change. 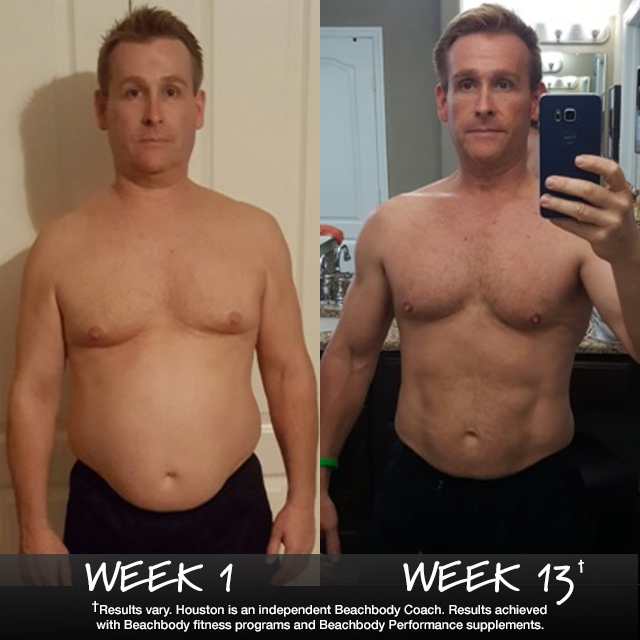 He got started with Focus T25 and achieved remarkable results in just 13 weeks!